Ocean Knoll’s Art Program is funded by our PTA and is run entirely by our community of parents, family members and volunteers. Students in grades K-6 are introduced to the basic elements of art (color, value, line, shape, form, texture and space), using pre-designed standards-based art lessons in the classroom. Our program is centered largely on two elementary school programs, Arts Attack and Deep Space Sparkle, but new projects and ideas are always encouraged and welcomed. Our art program is created to provide students with an opportunity to explore many art techniques in order to develop their individuality, creativity and appreciation of art. Student art is highlighted each month in the Ocean Knoll front office, and in our end-of-the year Art Show, which will be held in conjunction with Open House in Spring of 2018. We are looking forward to another year of exciting and engaging art projects created by our own talented Ocean Knoll Elementary students! Please contact co-chairs, Beth Thomas-Granger (bthomas@scripps.edu) or Kristine Persidok (kpersidok@dmusd.org) for more information, or if you are interested in helping out in the classroom. No previous art background necessary! Congratulations to our Ocean Knoll Artists of the Month, for the 2017-2018 school year! Camila consistently gives all of her work quiet concentration, including her artwork. She listens carefully while each lesson is being introduced, grasps the main concepts and has the courage to make each project her own by adding unique elements. Her work is top quality, interesting and carefully produced. Camila’s interpretation of Hokusai’s Great Wave and an Egyptian Burial Mask are included in the attached photo. She really has an eye for color, line and detail. Congratulations from your class, Camila! Jose is an exceptionally creative artist and very focused. He really understands the underlying concepts of every art lesson. He then uses those ideas and guidelines to make his own individual projects that expand beyond the basic lesson. He often creates artworks that are better than the examples shown in the lesson plans! The photo attached is from the Pacific Northwest art lesson and is a perfect example of this. Congratulations Jose! Jeremi is very focused in art ed. She is a good listener and follows directions well. She is also creative and seems to enjoy using colors and going with the flow of the project at hand. In this particular project each student had to follow the same set of specific directions, such as, “draw 4 straight lines from one edge of your paper to the other”. They each came up with very different art! And on the inside they wrote a birthday note to their teacher, Mr. Williams. Jeremi’s note was particularly well thought out and very sweet! Jacob’s enthusiasm for this project was unparalleled! It can be challenging to get him to engage in a project for a long period of time. Jacob is a great listener and always follows the art lesson instructions but this time he really enjoyed the process and became an artist for an hour! He truly got in the “art flow” of the process and it was very exciting to observe! He used the clay tools creatively and expanded on the project (i.e. trees) without taking away from the core goal of the project (i.e. create the mission facade). Chloe demonstrates a natural talent and joy for art. With this Warhol assignment, her style in drawing strokes to create varying blades of grass and the style in which she washed the paper over with a matching watercolor was so pretty, that while walking around the tables to see how the children were doing, hers stood out and made me pause for a good moment in appreciation. We look forward to seeing what Chloe’s creates in our Art Ed classes, throughout the third grade. Fourth grader Marisol Guillen Verdugo from Mrs. Larsen’s class is such a talented artist! She always takes the class art lesson and puts her unique touch on it. She has a vision and spends time making each detail exactly the way she wants it. Her line elephant is a great example of how she takes a basic lesson and makes something truly extraordinary! Taihu Pratt, second grader from Ms. Anderson’s class. Taihu did a lesson during the month of October on “value,” which included drawing a value scale using pencil, and then creating a still-life pumpkin with crayons on construction paper. Using the principles of value, he added shadow and light to the pumpkins as well. Taihu listened carefully and displayed an excellent understanding of the concept of “value”. Taihu finds joy in art and takes pride in his craftsmanship. He is a wonderful art student! Liam Perez, second grader from Mrs. Sullivan’s class. Liam’s art project was an artist appreciation lesson about George Rodrigue. He created the famous “Blue Dog” picture using chalk pastels on dark construction paper, then outlined Blue Dog with black oil pastel. The kids were allowed to make their own background and Liam creatively designed a multicolor background which really made Blue Dog stand out. He took his time with the lesson and was very focused the entire time. Great job Liam! 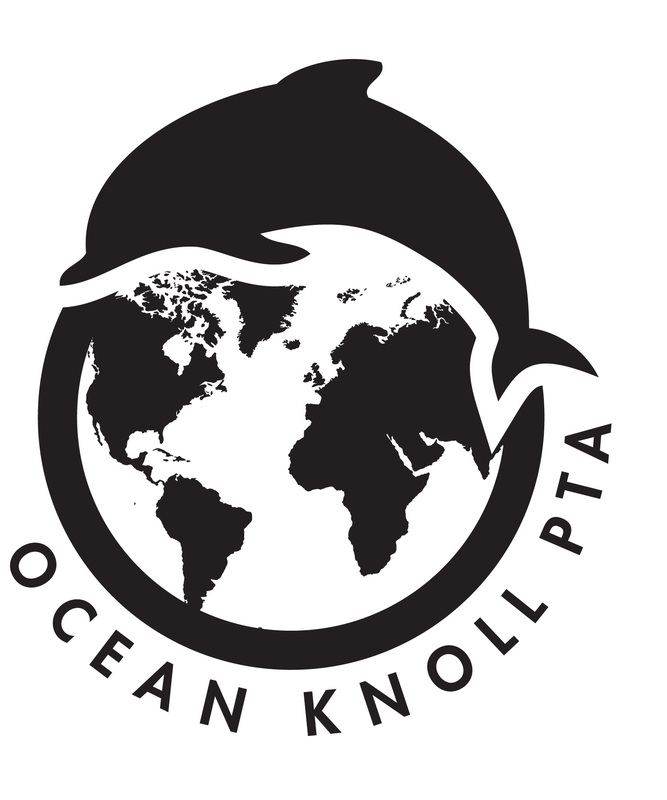 Copyright © 2017-2018 Ocean Knoll Elementary – PTA. All Rights Reserved.